Just wanted you to know that these patriotic pops are sponsored by my friends over at Amoretti! 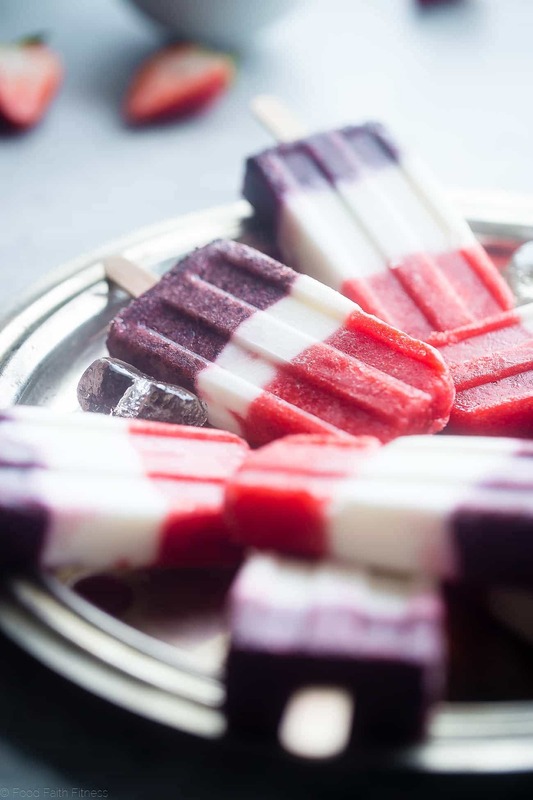 These healthy and dairy free red, white and blueberry, strawberry coconut popsicles are a gluten free, patriotic summer treat that are only 4 ingredients and 110 calories! Feeling very patriotic in our food choices today. 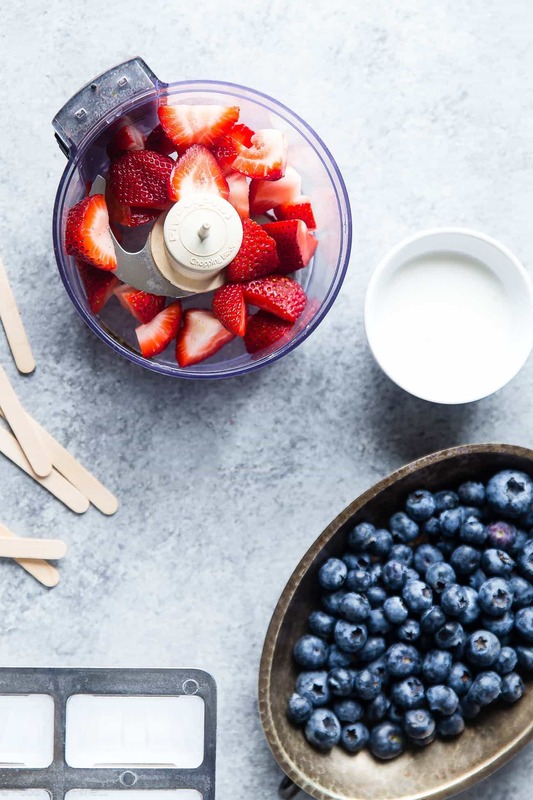 Cool, frosty treats, such as dairy free paleo banana pudding pops, to beat the heat. Things with ONLY 4 ingredients because the heat has fried out brains, so that we can’t think beyond cooking with 4 things. Coconut. Because coconut forever please. 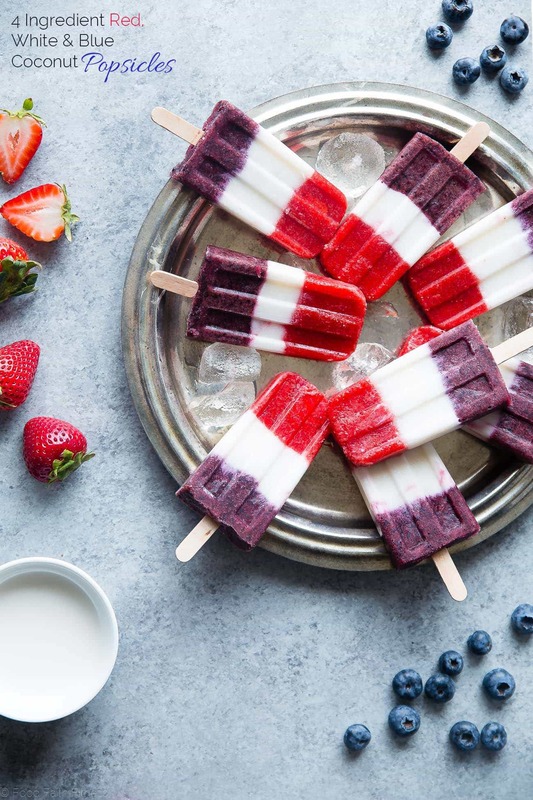 If you’re nodding your head because you ALSO are seeking all of the above, then these healthy freezer pops are going to be your newest summer treat DREAM. Yep. 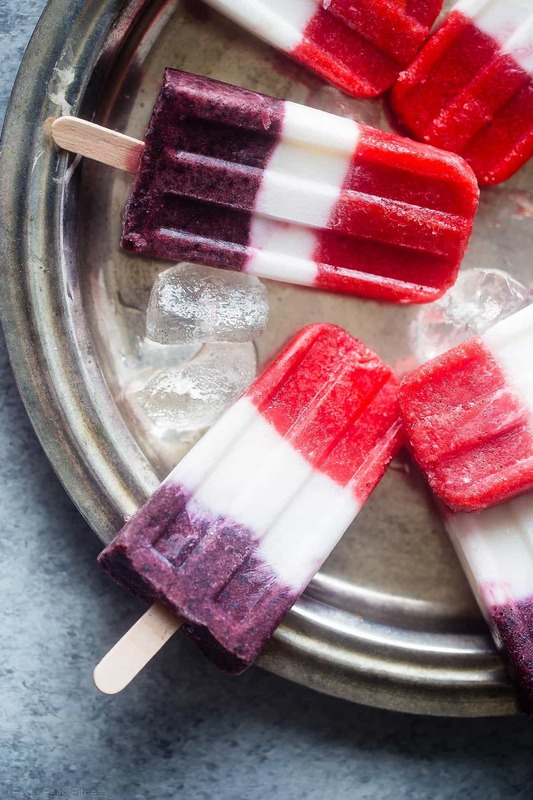 These little SUPER easy-peasy icy-cool pops of general love and deliciousness are gonna love you in the way that frozen desserts just DO in the hot months. 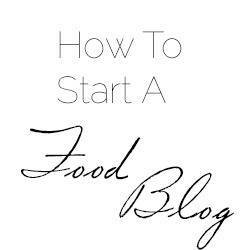 Especially because they are only 4 SUPER simple ingredients, of which 50% are wholesome, real-food, VIBRANTLY-health-laden fresh berries. And the other 50%? A 1-2 punch of DOUBLE the tropical-creamy-coconut BLISS. 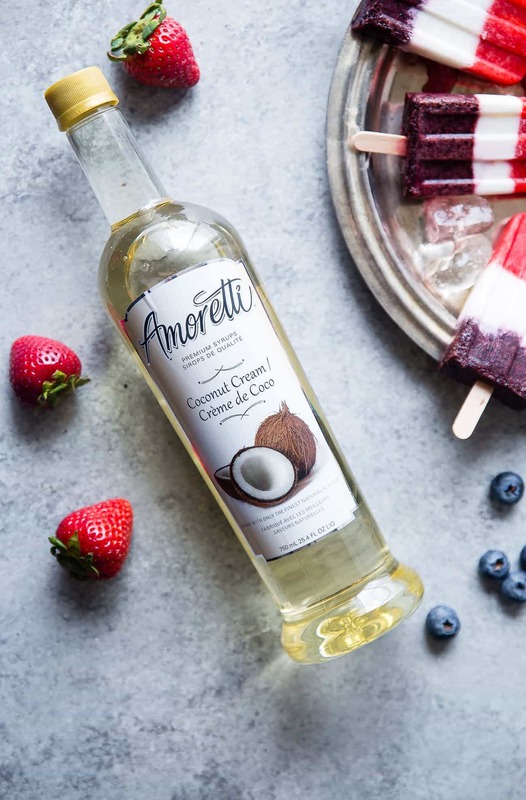 The “white” layer of our “red, white and blueberry” dessert situation is made of ULTRA rich and SUPER delicious coconut milk, combined with Amoretti’s Coconut Cream Premium Syrup. <– Totally your new most favorite syrup in the sense that it gives ANYTHING your heart dreams of this deliciously sweet, tropical-taste-bud-vacation kind of sensation. 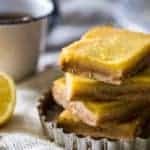 Their syrup also has no corn syrup, high fructose corn syrup, preservatives, artificial sweeteners and are only 30-35 calorie a serving as compared to the usual 100. Sooooo yea. Whisk those taste buds away ALL DAY. As discussed, coconut milk + just-perfectly-sweet coconut cream syrup= 1, 2 coconut PUNCH. Aforementioned syrup is always swirling around with fresh blueberries and strawberries, to create the blissful bursts of sweetness in the “red” and “blue” layers. <– SO patriotic right now. 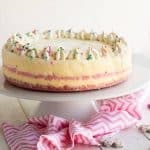 You guys, if you’ve been eyeing the berry cashew no bake cream bars or paleo poke cake for July 4th, I am dropping a few hints RIGHT NOW (except not hints. 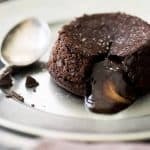 Just straight up TELLING YOU) that you should probably scratch that and make THESE. Or make both. You can never have too many desserts at a Fourth of July party. TRUE LIFE FACTS. Fruit + yummy coconuty syrup in a food processor. BLEND BLEND BLEND. Fruity syrup –> popsicle molds. Try VRY VRY hard to get the stick RIGHT in the middle because you are an OCD person who likes perfect food. Maybe that’s just me though. Either way, the stick shenigans is 100% the hardest part of making these pops. And you know what isn’t hard? Venturing out, and braving the HOT sun, when you have a berry-licious frosty popsicle in your hand. Summer? You’ve met YOUR MATCH. 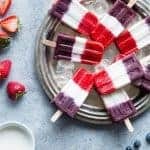 These healthy and dairy free coconut popsicles are a gluten free, patriotic summer treat that are only 4 ingredients and 110 calories! Perfect for July 4th! In a SMALL food processor (mine is 3 cups) blend the strawberries and 2 Tbsp of the syrup until smooth and liquid. Transfer to a small liquid measuring cup (it makes pouring easier) and divide between 8 Popsicle molds. Freeze until the top feels set, about 45 minutes to an hour. Pour the coconut milk into a liquid measuring cup and stir in 2 Tbsp of the syrup until well mixed. Divide between the 8 molds and chill until set, an additional 45 minutes to an hour. In a small food processor, combine the blueberries and remaining 2 Tbsp of syrup until smooth and liquid. Transfer to a liquid measuring cup and divide between the chilled molds. Stick Popsicle sticks in the center of each mold and chill until completely frozen, at least 2 hours to overnight. To remove from the molds: run hot water over the molds, gently pulling on the Popsicle stick until they release. AMORETTI IS BEING FAB AND GIVING 15 OF YOU A CHANCE TO WIN YOUR OWN BOTTLE OF COCONUT CREAM PREMIUM SYRUP SO YOU CAN MAKE THESE POPS! 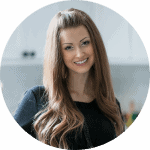 ENTRY IS SUPER SIMPLE, JUST USE THE WIDGET BELOW! I would make ice cream…or Pina Coladas! I’d have a hard time deciding which one first. These are just so pretty! 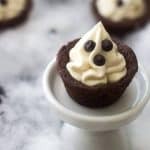 I would love to make these for our next party! What a festive summer treat! 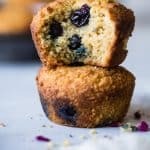 These look delicious and beautiful! Love these popsicles! And the Amoretti syrup is such a clever touch! I don’t know who is more excited to make these, me or my boys. And how much simpler can popsicle making get. Beautiful photos, too! Thank you so much Alexa! Hope you all love them! You cannot beat 4 ingredient anything! And with this heat I’m sure they are a huge hit! You know what I would do? 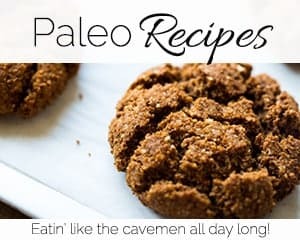 I would put it into your paleo magic cookies bars! Both the sauce and the crust! I would also put it in my next coconut milk ice cream milkshake! Oooo! and it would defiantly find itself swirled and twirled into some cacao-nib-studded almond butter. HAHA I LOVE IT. I can TOTALLY picture it too! These look so amazing and patriotic as well! I just pulled out my possible molds this week so I’m ready! Good to go! Hope you love! I would make ice cream with this yummy sounding syrup!???????????????? I honestly thought these would be really hard to make, but as always you make it look so easy. 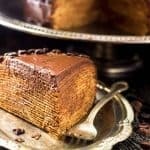 Just slow down and take it on step at a time, to get a fabulous dessert!!! YES! 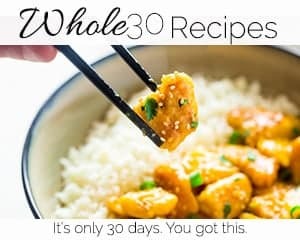 They are actually SO simple! Thanks Amanda! It has been SO warm lately, and I bet it’s been really warm in Missouri. I’m sure these popsicles hit the spot for those super hot days! They really do! it’s been SO hot here, so nice to have a cool treat! These look AMAZING! So perfectly festive and colorful. I would’ve never thought to use coconut cream to bump up the flavor – brilliant! It adds SO much yumminess! Thanks Jordan! Gosh, these are so fun and festive! Love them! Thank you for sharing. These are awesome! Quick question, do you have another suggestion for what I could do in place of the coconut? I’m unable to eat coconut. Thanks so much. Looking forward to hearing from you. 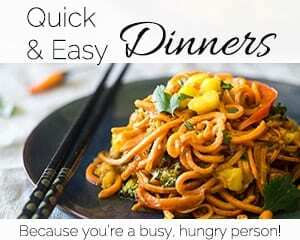 Hmmm, I really can’t tell you as this recipe really relies on the coconut syrup! I’m sorry! Looks refreshing. Perfect for summer. Oh my gosh! These look so good! You have those layered perfectly! Great to cool off with all this hot weather! Totally perfect for cooling off! Thanks! These are such pretty popsicles. I bet they taste amazing. I would totally make a coconut hot fudge sauce with it. These sound amazing ! I would like to make a breakfast smoothie! 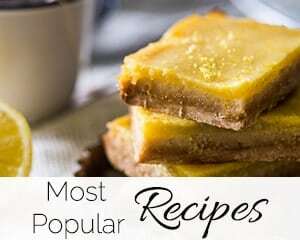 I would try adding it to lemon bars and/or upside down pineapple cake. Thank you for giving back with your great giveaways. You are so welcome Michael! 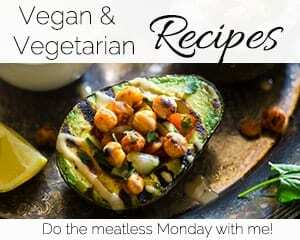 That sounds delish! I honestly thought these would be really hard to make Thanks so much. Looking forward to hearing from you.